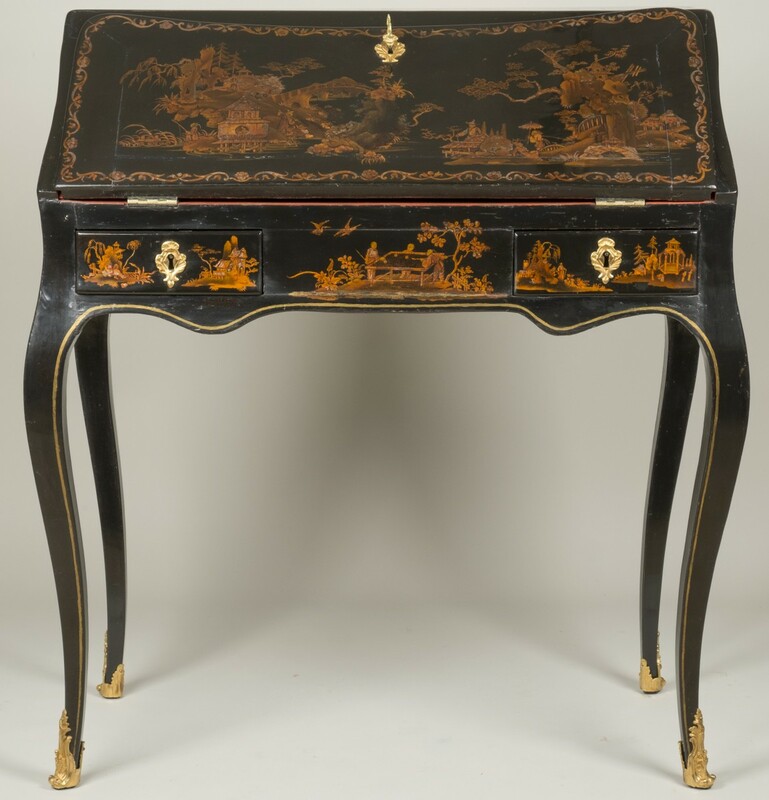 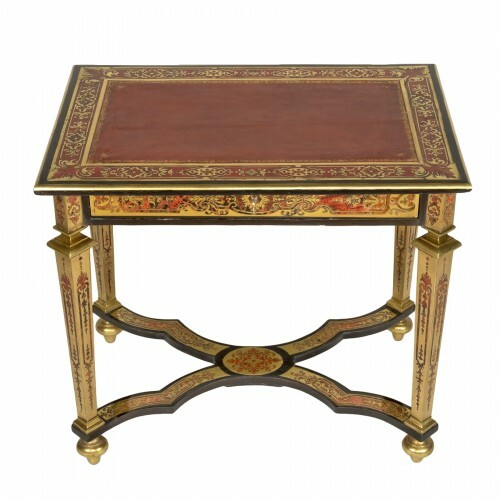 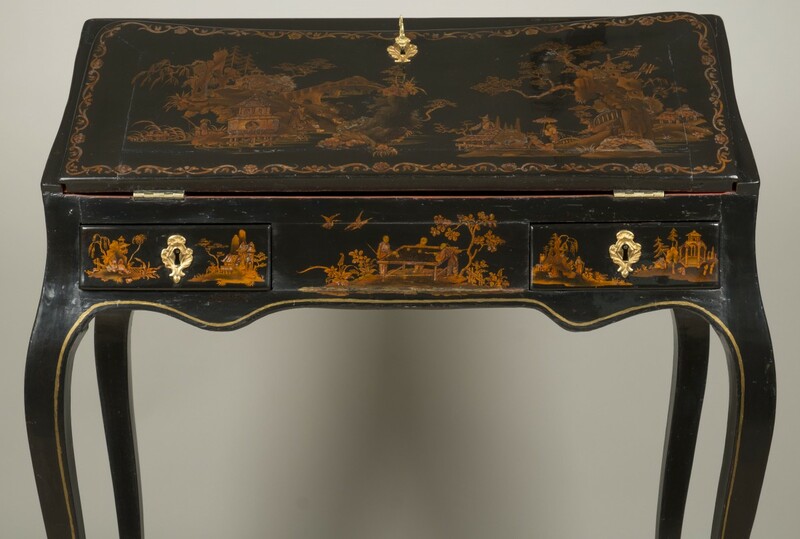 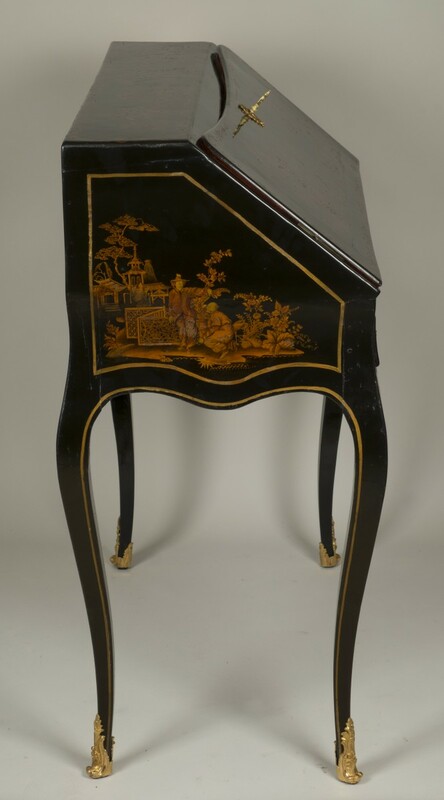 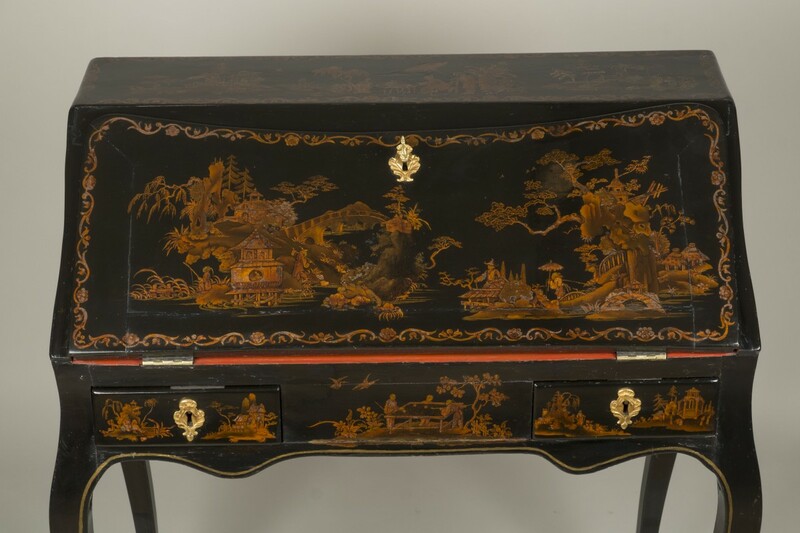 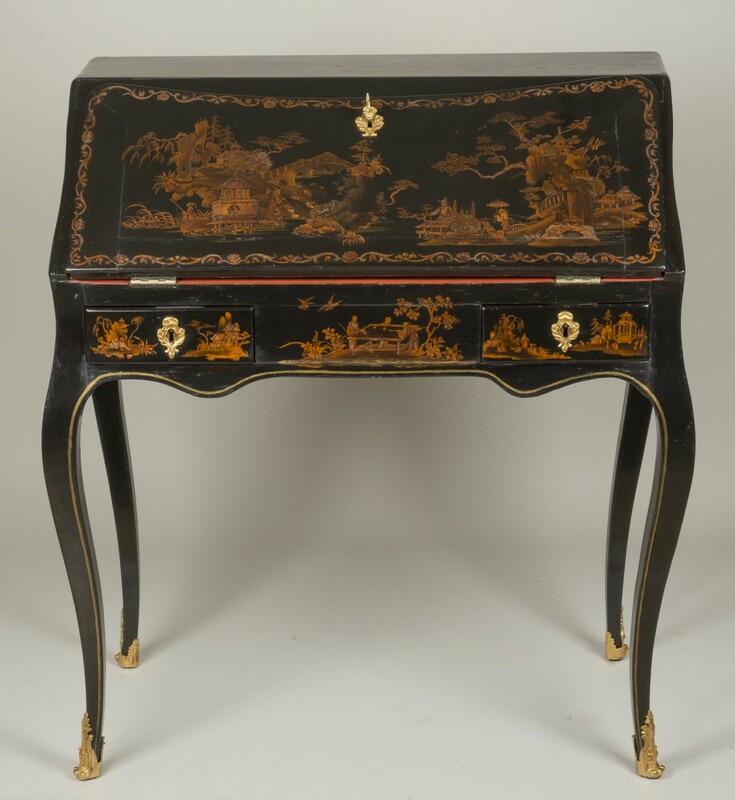 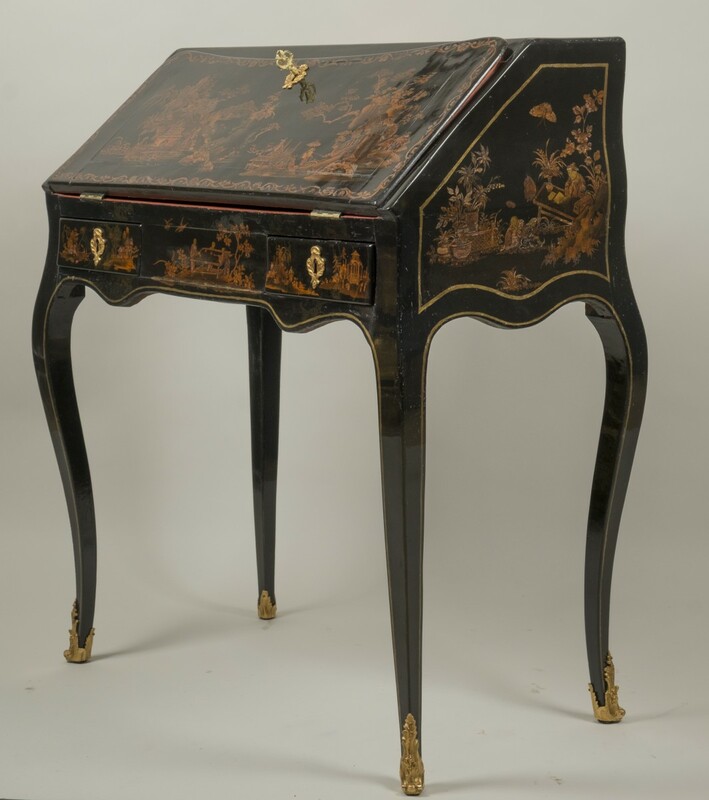 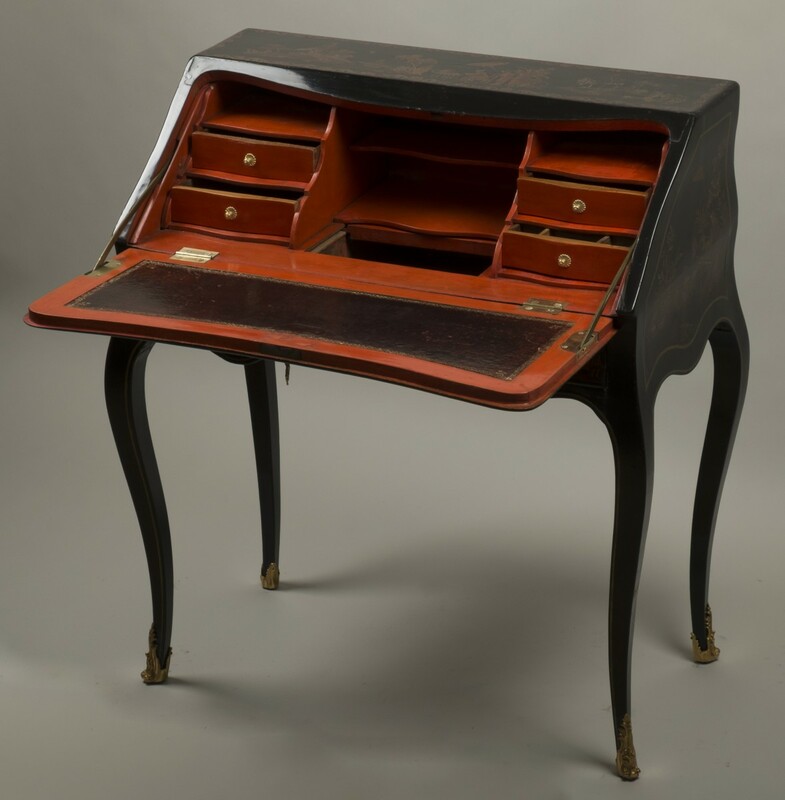 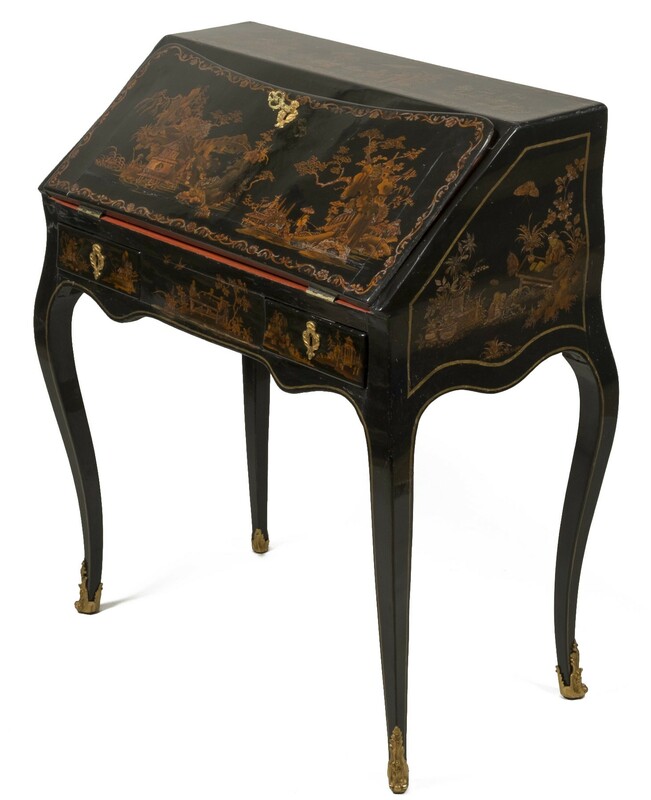 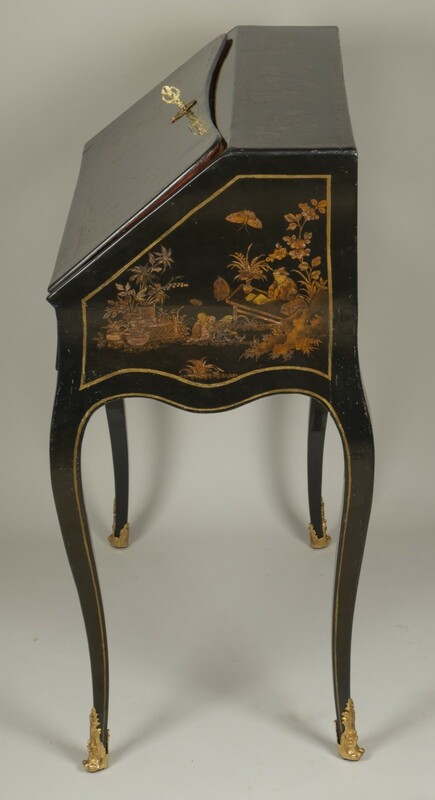 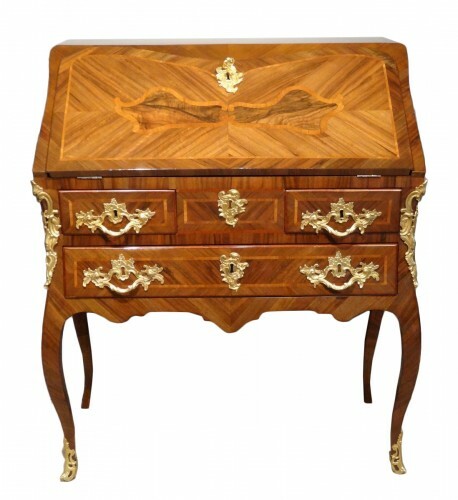 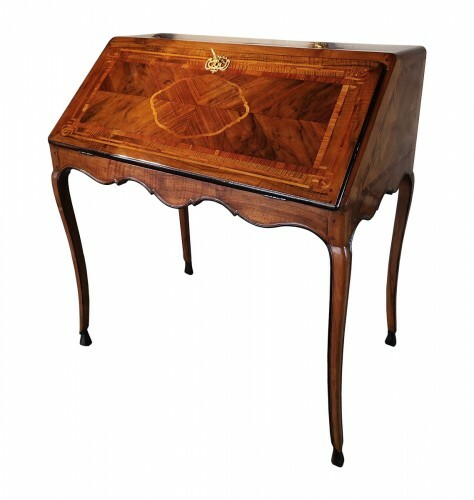 European Lacquer Dos d'Ane Desk decorated on front and sides with chinoiseries, lakeside landscape and pagoda. 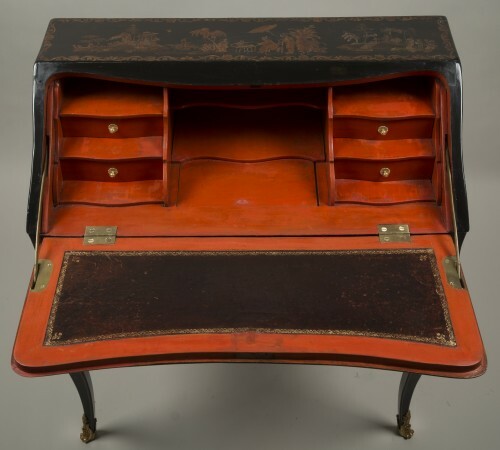 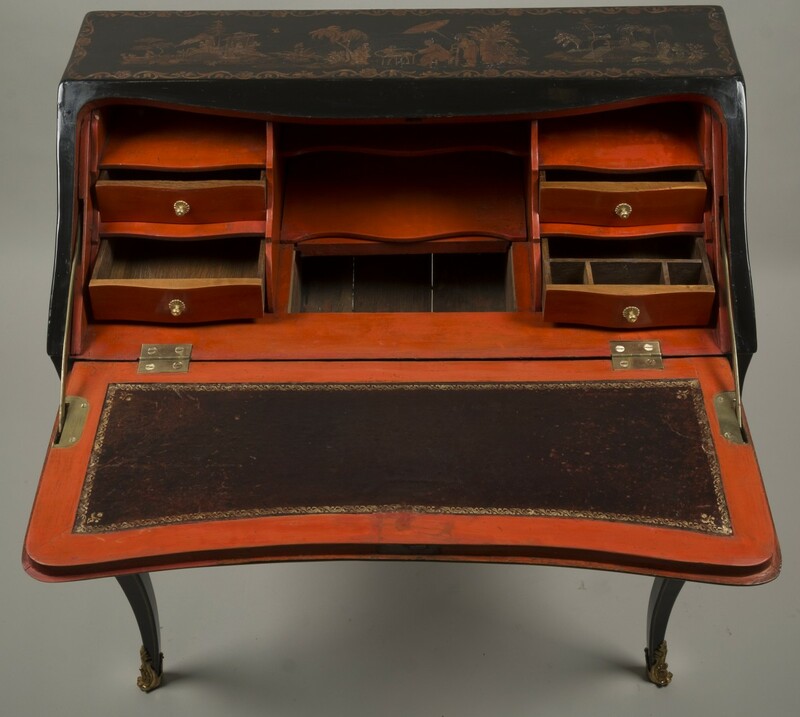 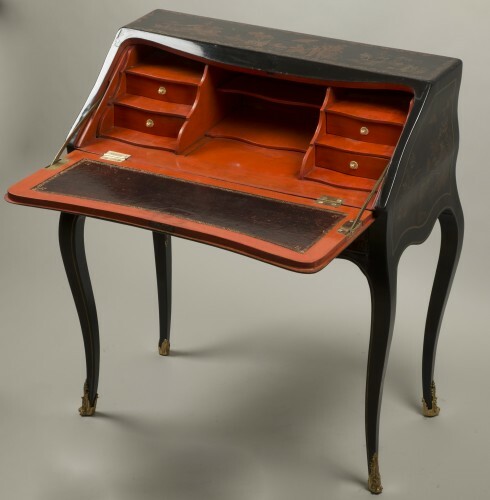 It opens with a flap on a red lacquer interior with 7 compartments (including 4 drawers) and a false bottom. 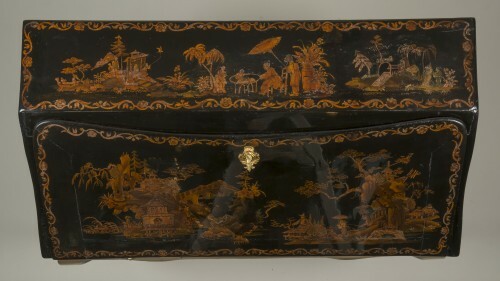 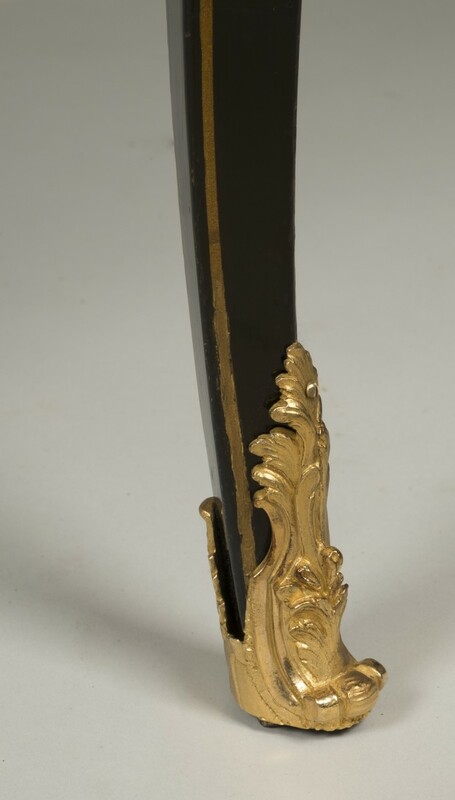 On the inside, the flap is covered with a black and gilt 'au petit fer" leather. 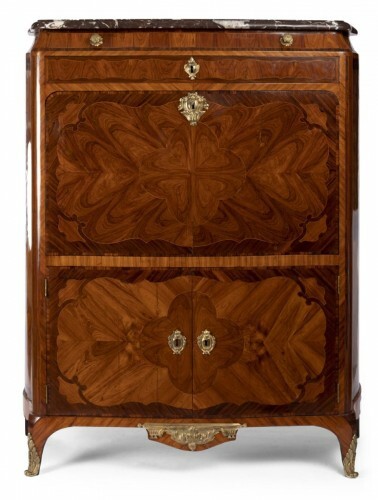 The curved belt opens with 2 drawers. 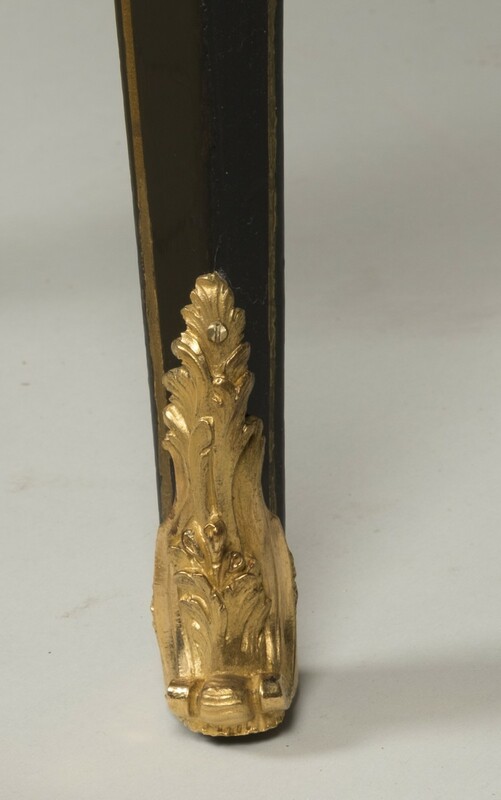 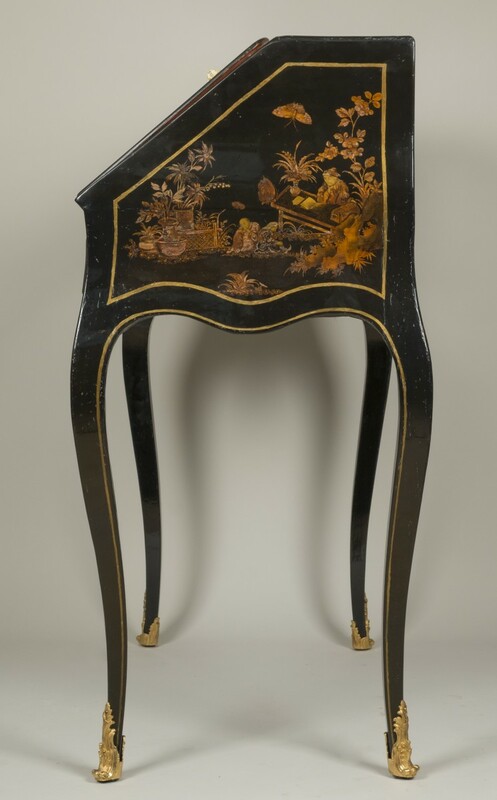 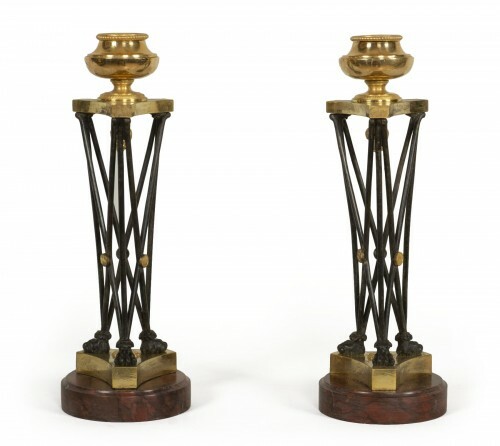 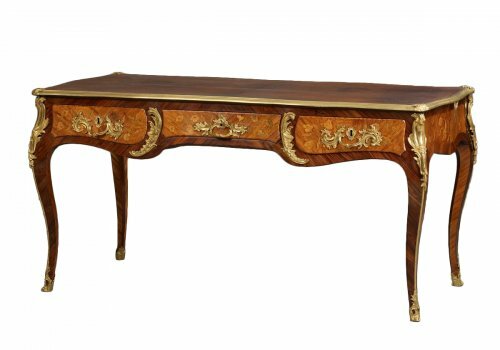 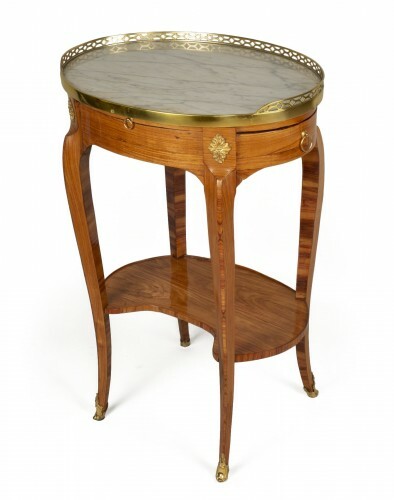 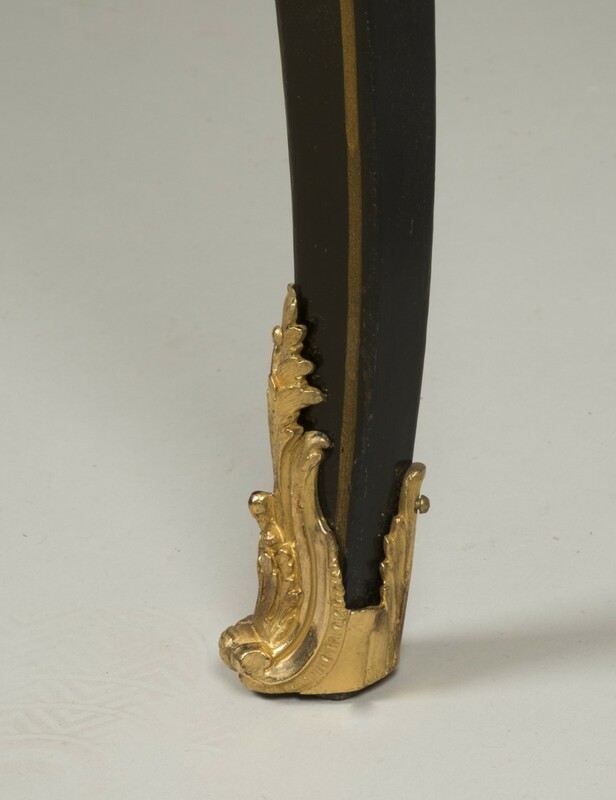 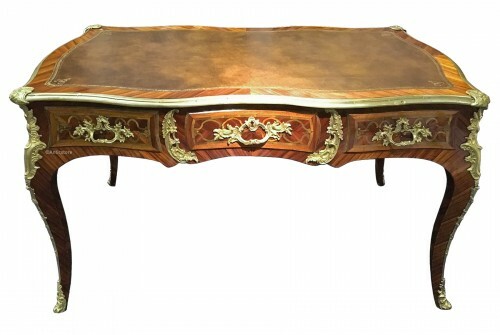 It lays on 4 curved feet with gilt bronze hoofs.